Becky Parsons is an award winning cinematographer (Rhonda’s Party), fine art photographer (Kodak Achievement Award) and nominated director (Le Coeur Qui Bat – best music video – Music NB). 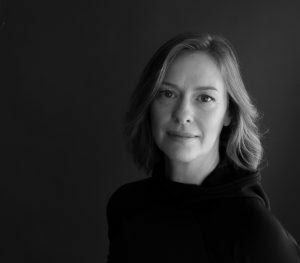 A graduate of the Nova Scotia College of Art and Design, she has 19 years experience in the photographic and motion picture arts. Becky is based in Atlantic Canada also working on occasion in Ontario and the UK, and wherever a project may take her. She is Director of Photography and/or camera operator on a number of well known productions, recently Bruce McDonald’s feature film ‘Weirdos’, and the popular new Radio-Canada series ‘A la Valdrague’. Her fine art photography has exhibited in Halifax and other cities in Nova Scotia, Moncton, Toronto and London, England and has entered private collections throughout Canada and the UK. In 2018 Becky Parsons created production company No Fear Films and as a producer she is in development with writer Sarah Gignac and executive producer Terry Greenlaw.